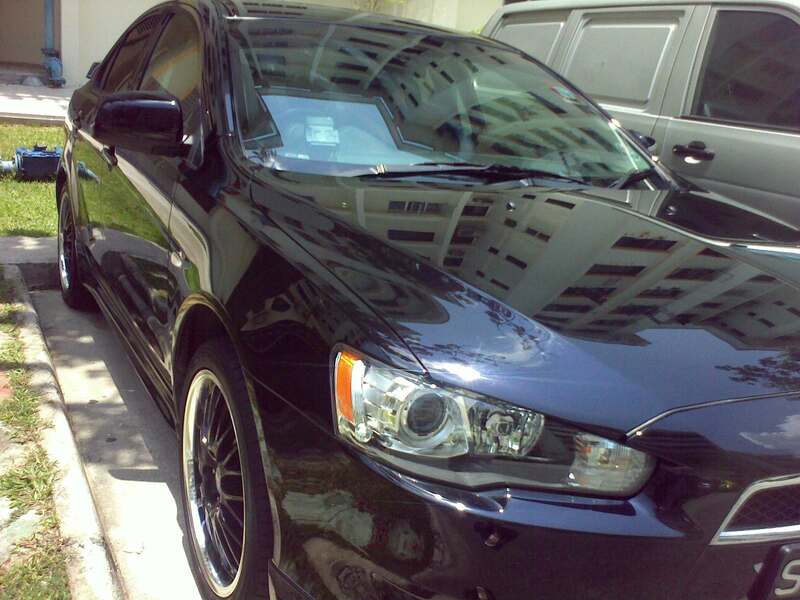 our car of course.. and yes.. our poor car desperately need a wax or polish! It has those white paint drops on the bonnet due to some HDB block paintings and I am just afraid it might eat into the car paint if I leave there for too long. For the past few days, I had been sourcing up and down for a wax/polish service. Here’s what I’ve got. 1. AMK Autopoint – SONAX for $380.00 (1 time full polish and 3 times maintenance) : Tempting but considered EX for people who don’t usually maintain cars. 2. Bishan J8 HDB Carpark – Waxing & Grooming Package to be used within a year : Not possible at all. Who will wax car every twice a week? Definitely not me. 3. Toa Payoh Esso Lorong 1 – Wash, Wax, Interior Vaccum and Cleaning, Tyre Shine for just S$28.00!